We moved to a new flat recently which means a new kitchen! I'm really excited for this new space which is sunny, has windows above the sink and a view onto our green yard. Our last little flat was very dark with low ceilings and bench space of only about a half a metre. I wonder whether this was a contributing factor to my sadness and retreat from a natural tendency to spend hours in the kitchen blending and creating. In any case, I'm excited for our new space and the change in me feels very wonderful. Inspired by different surroundings, I feel my eye being drawn to different frames as simple objects are lit up by changing shadows (particularly this week when winter has hit and it's literally felt like four seasons in a day!). Reach for the camera, here there... curiosity. I even took a picture looking out from our toilet window! 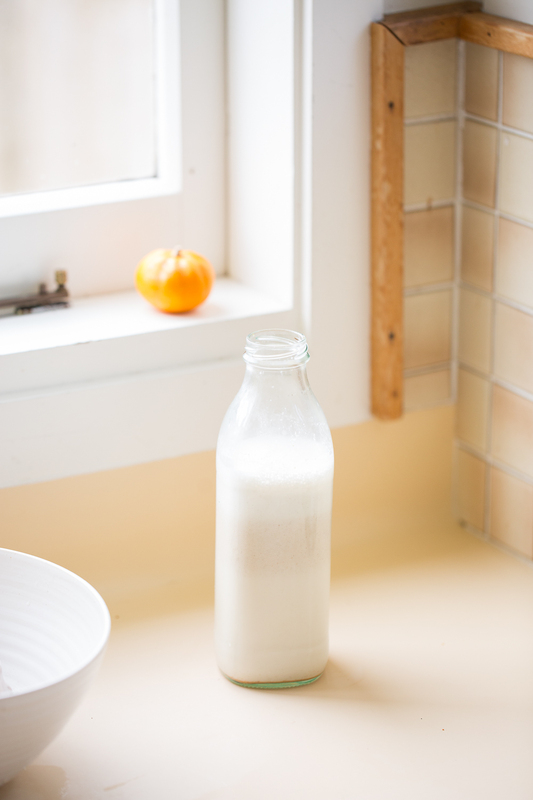 Here I've documented some snippets of a daily ritual for me - just making a simple vanilla almond milk, embedded since those very early days in Stockholm when I became obsessed with raw food. Soaking nuts you know. One attempt of hands included, to make the series more "real". Although it's difficult on your own when holding the camera in one hand and pretending to look natural with the other. There is a recipe too - although they are easy to come by. This is my version and it is oh so good! 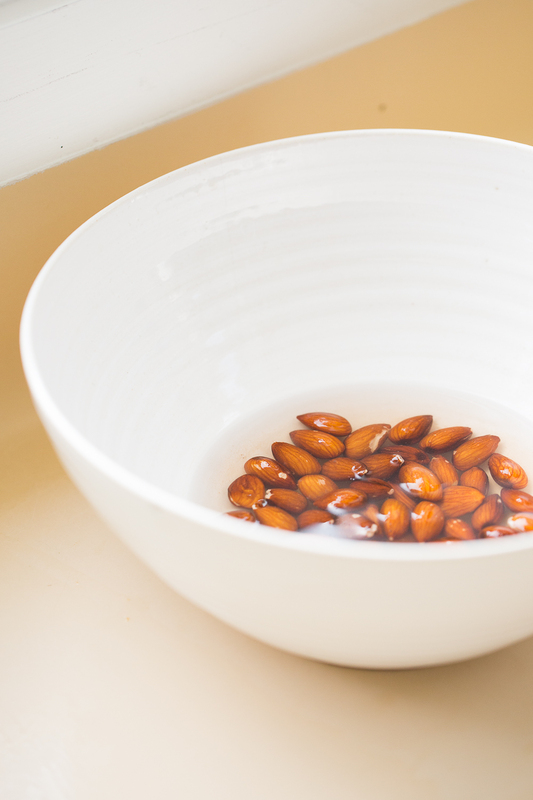 Soak 1 cup of almonds in filtered water for a minimum of 6 hours. Rinse nuts and blend in a high speed blender with 3 cups of filtered water. Strain blended nut mixture through a nut milk bag. Pour mixture back into blender and add 2 medjool dates, 1 tsp vanilla extract or 1/2 teaspoon of vanilla bean powder, and a pinch of salt. Blend again for 30 seconds. Add 1 Tbsp melted coconut oil to mixture whilst blending on a low spend.